MOM was smiling from ear-to-ear all week-long during our “Make MOM Smile” experiential marketing campaign including; complimentary mommy makeovers, free gift bags and branded cupcakes. Mom was inspired to show off her new stylish beauty look by tweeting a selfie photo on the branded media wall. 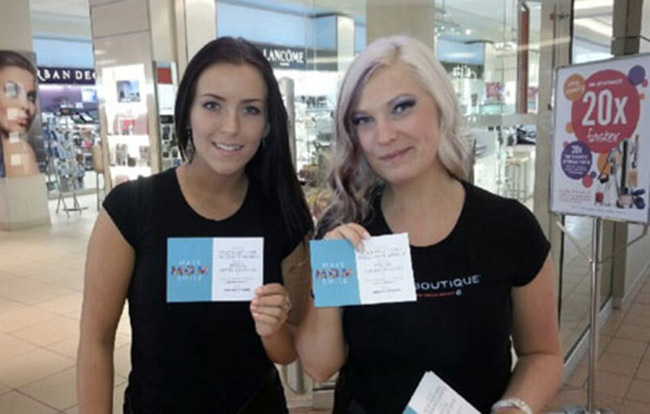 MOM and the entire family took full advantage of the opportunity to purchase $75 or more in beautyBOUTIQUE products to receive a BONUS 18,500 Optimum Points for immediate sales impact.